DIC evaluations carried out with the ARAMIS system from GOM can be combined with thermographic measurements by IR cameras from InfraTec. This webinar will show how this works and what advantages it offers users. 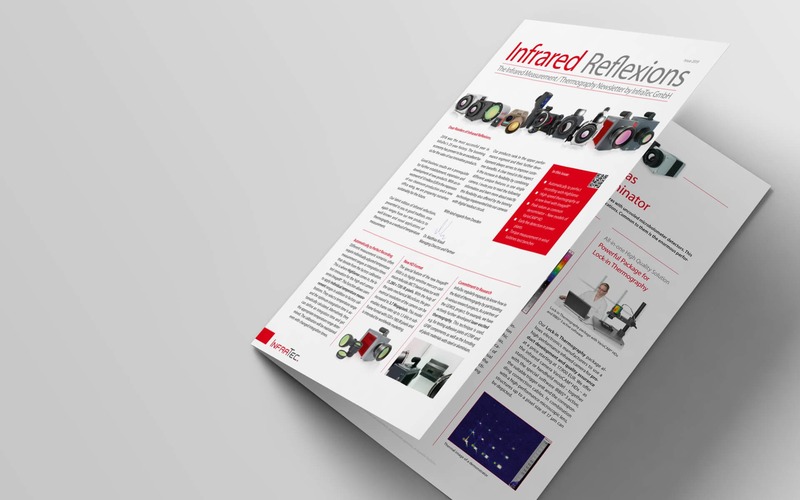 The newsletter provides you with information on current trends and developments in the infrared measurement division. For more than 25 years InfraTec has been providing comprehensive service in addition to high-end thermographic cameras. For example, you can have your camera recalibrated by us. 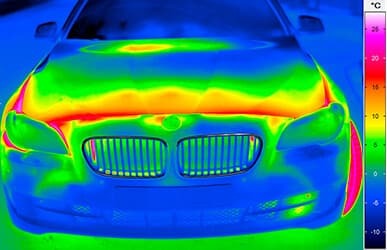 On the basis of a project analysis, we assist you in the realization of thermographic measurements and tests. In the event of a malfunction, you will receive extensive support from our in-house service department via remote maintenance. Let’s find out, what we can do for you. 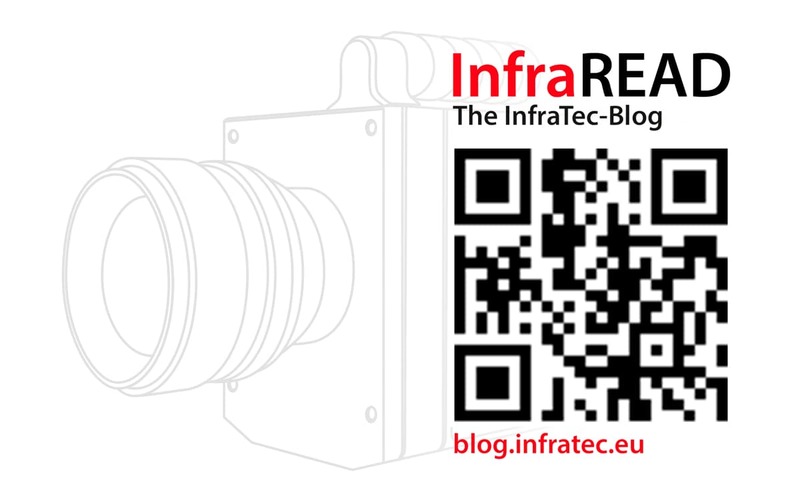 Go to InfraREAD - the blog of InfraTec - and get the latest information about camera series ImageIR®. The IRBIS® 3 software family provides a wide range of special software for convenient camera control and analysis of thermographic images. 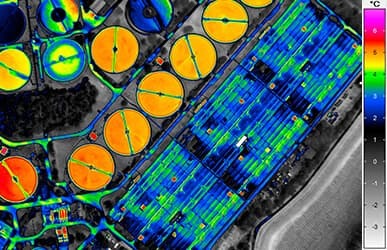 You can choose from a variety of packages and modules to analyse thermographic measurement data and comfortably generate thermographic reports. 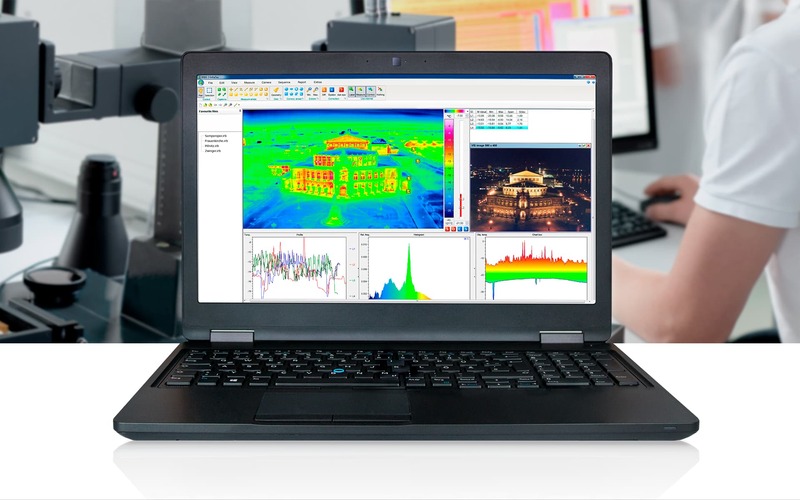 The range includes, for example, the stand-alone thermography report software IRBIS® 3 report and IRBIS® 3 active, a tool for thermographic inspection using active thermography. 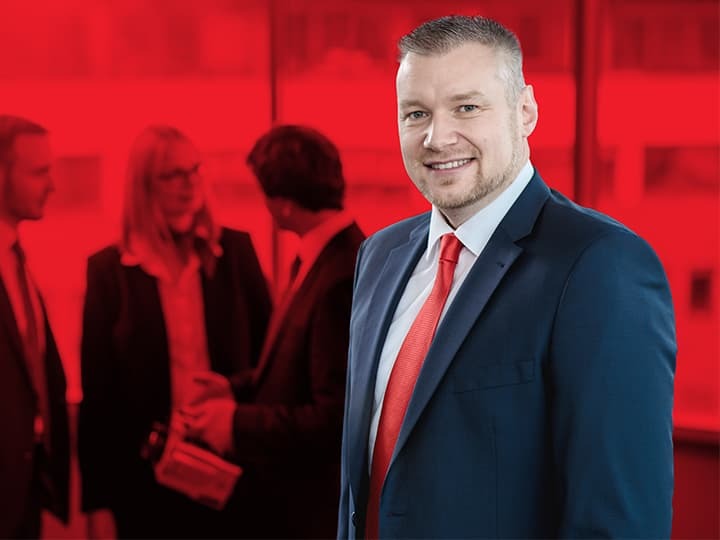 Automated thermographic solutions from InfraTec provide you with reliable information about even the smallest temperature developments and distributions - efficiently and cost-effectively. 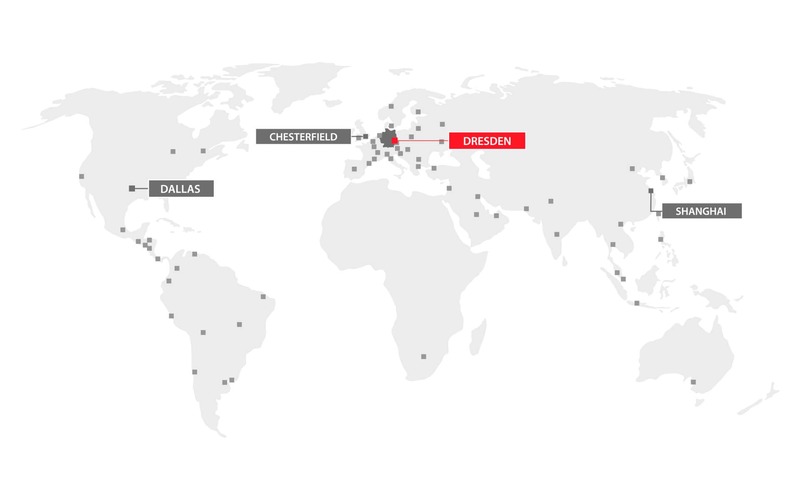 Based on our proven modular system, we configure a system for you that is tailored to your specific requirements. All components such as thermographic cameras, transmission and display devices, industrial PC and software are suitable for continuous industrial operation. You can use ATEX-certified protective housings and pan/tilt heads wherever the ambient conditions require it. A detailed briefing by our specialists is always part of the delivery of your thermographic camera. Upon request, we can also extend this offer to a comprehensive seminar with the contents of thermal imaging, which are important for you when using the camera. In this way, you can ensure that your employees are optimally prepared for the daily handling of the entire system. We will be happy to organise a suitable seminar at your premises. 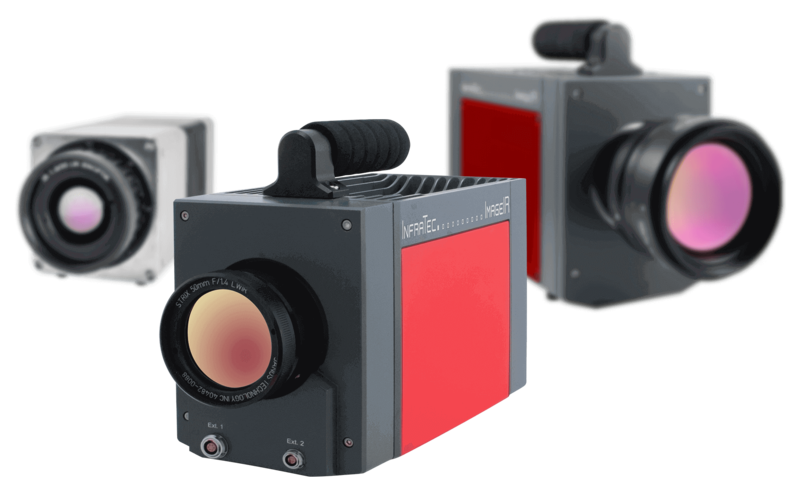 With more than 30 models, InfraTec offers a variety of infrared camera models for all application areas of thermal imaging. Please find your suitable infrared camera in the application areas, which are listed below. InfraTec specialised on developing reliable high-class infrared camera models for all application fields of thermal imaging. 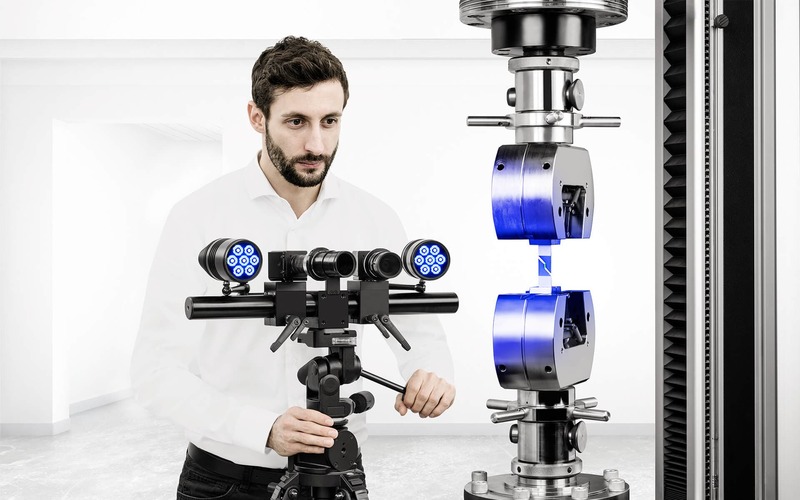 The benefit of non-contact temperature measurement technology is the capability to inspect objects non-destructively and contact-free and to make material conditions in deeper layers visible. The contact-free measurement of temperature distributions on objects or in processes constantly informs about the state of the object. Thus, deviations of the production standard can be recognised. In addition to the mobile infrared camera models, InfraTec has also developed various thermography automation solutions for process and quality control applications. Especially during the production of thermally sensitive components, thermography is capable of giving vital information for quality assurance purposes. Even smallest temperature deviations can lead to serious quality loss, i.e. in the plastics or automotive industry. 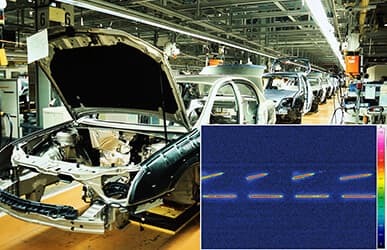 By setting up a infrared camera monitoring system, such faults can be recognised, documented and corrected immediately. InfraTec offers a suitable infrared camera and ideal thermography software for every application field, stationary or mobile. The modular structure of the measurement devices makes it easy to meet every customer-specific demand. An infrared camera is installed in close vicinity to the process, which has to be monitored. The infrared camera transmits all captured data to an evaluation unit. The evaluation unit compares the actual value to the defined target value by comparing the minimum, maximum and average values. A switch contact can be triggered by the transgression of thresholds, which will then set off an alarm. Appropriate countermeasures can then be taken. InfraTec’s measurement devices are rugged, have been tested extensively and are conceived for continuous industrial use. Modern interface concepts allow for reliable camera control, data acquisition and online data evaluation, even over long distances. 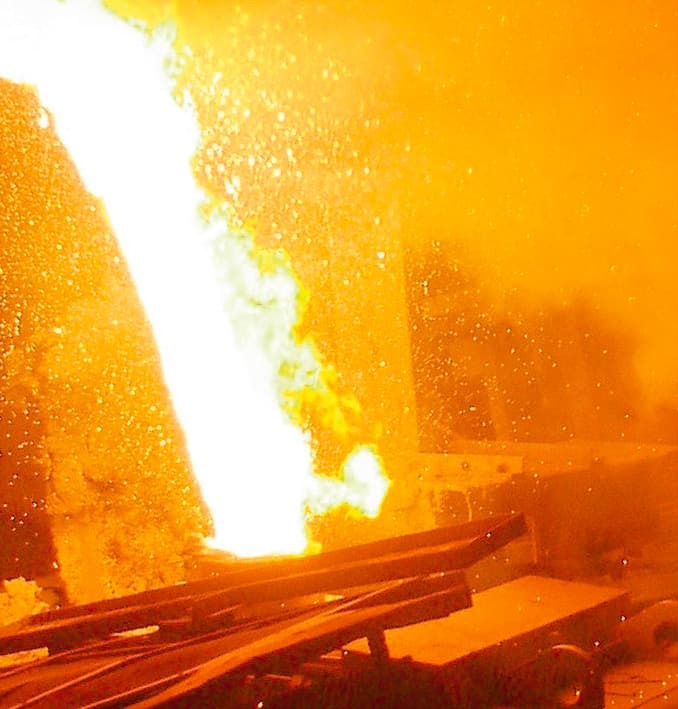 This makes thermal imaging ideal for automation solutions like slag detection, early fire detection or for inspections of solar cells and photovoltaic modules. InfraTec has been offering a wide range of innovative high-class thermal imaging measurement devices since 1991. The quality of the high-performance infrared cameras is based on profound and permanent development processes. The range of services of the thermography division ranges from production and sale of infrared cameras to the supply with turn-key thermography automation solutions. The abbreviation FLIR stands for Forward Looking Infrared, which is an imaging infrared process. FLIR cameras are very common on military aircrafts or police helicopters. They are used to spot heat sources, which are then displayed via video output to the pilot. 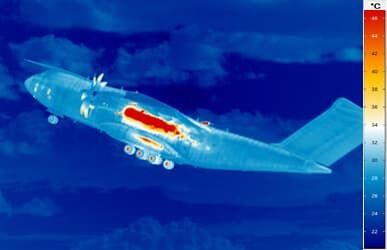 FLIR cameras are very different from night-vision devices and conventional infrared cameras, since these only display a certain infrared range.